Get out of town with these interesting Perth side-trips: Dolphin & Whale Watching (in Mandurah), Penguin Island (in Rockingham) and Fremantle (Fremantle Prison, Fremantle Markets, & more). Dedicate the 8th (Fri) to wine at some of the top wineries in the area. Pack the 10th (Sun) with family-friendly diversions at Adventure World Perth Australia. 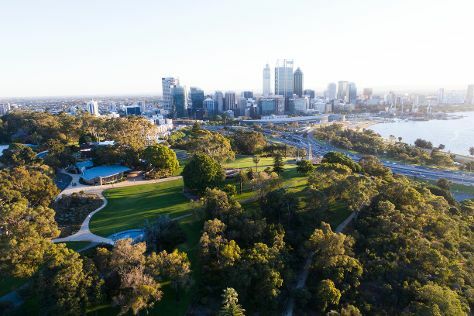 And it doesn't end there: walk around Kings Park & Botanic Garden, steep yourself in history at The Perth Mint, explore the activities along Swan River, and go for a stroll along the water at Hillarys Boat Harbour. For more things to do, maps, traveler tips, and more tourist information, use the Perth trip itinerary builder site . Zurich, Switzerland to Perth is an approximately 21.5-hour flight. The time zone difference when traveling from Zurich to Perth is 7 hours. Prepare for much warmer weather when traveling from Zurich in March: high temperatures in Perth hover around 34°C and lows are around 19°C. Finish up your sightseeing early on the 14th (Thu) so you can travel to Esperance. Esperance is a town in the Goldfields-Esperance region of Western Australia, on the Southern Ocean coastline approximately 720km east-southeast of the state capital, Perth. Spend the 15th (Fri) exploring nature at Cape Le Grand National Park. 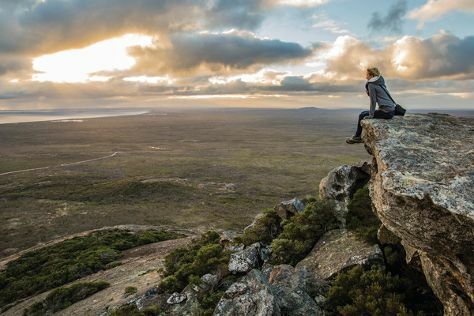 Spend the 22nd (Fri) exploring nature at Cape Arid National Park. There's still lots to do: enjoy the sand and surf at Twilight Bay, stroll through Lucky Bay, explore and take pictures at Great Ocean Drive, and step off the mainland to explore Woody Island. To find ratings, maps, where to stay, and tourist information, use the Esperance visit planning tool . You can fly from Perth to Esperance in 4 hours. Alternatively, you can drive; or take a bus. Traveling from Perth in March, expect nights in Esperance to be about the same, around 17°C, while days are slightly colder, around 30°C. Wrap up your sightseeing on the 23rd (Sat) early enough to travel to Exmouth. Exmouth is a town on the tip of the North West Cape in Western Australia. Spend the 30th (Sat) exploring nature at Mandu Mandu Gorge. There's still lots to do: have unforgettable encounters with a shark diving experience, tour the pleasant surroundings at Wobiri Beach, step off the mainland to explore Muiron Islands, and identify plant and animal life at Ningaloo Coast World Heritage Area. For photos, other places to visit, more things to do, and more tourist information, go to the Exmouth trip maker website . Getting from Esperance to Exmouth by flight takes about 6.5 hours. Other options: do a combination of bus and flight; or drive. Prepare for somewhat warmer weather when traveling from Esperance in March: high temperatures in Exmouth hover around 43°C and lows are around 26°C. Finish your sightseeing early on the 1st (Mon) so you can travel back home.